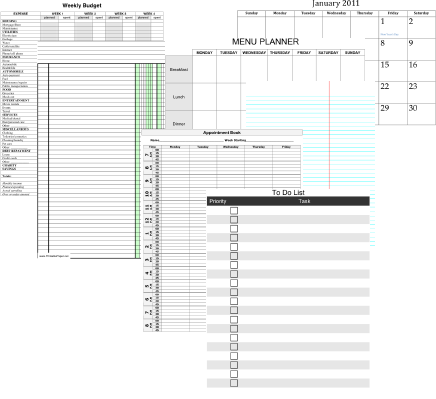 The FreePrintable.net Get Organized Pack — An exclusive bonus for Meetup.com users. The entire pack, plus a bonus guide to using the printables to help you get organized, is free for Meetup.com users. To get your FREE Get Organized pack and subscribe to the Free Printable newsletter, type your e-mail address. The free FreePrintable.net newsletter is e-mailed once a week, and will let you know about the printable documents and templates that I’ve added at FreePrintable.net. We promise: no spam ever ever ever ever.